The airport was named after a pilot Fehmi Ercan, who lost his life in Cyprus Peace Operation in 1974. Airport Lefkose is 23 km from the city center and 29 km from Famagusta. In addition to the transfer service to all the hotels on the island, we also provide transportation to and from the desired locations. 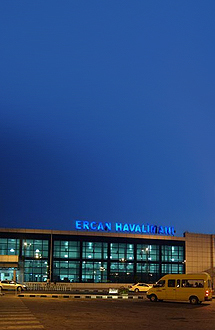 If you require reliable, comfortable and affordable transport to and from Ercan International Airport you can make a booking in a few easy steps by clicking on “Transfer Planning”. If you wish to make a telephone booking, you may speak to our dedicated and efficient call center staff members on +90 216 688 54 00.